We are extremely excited that our NHS Choices online clinic on prostate disease, supported by the charity Movember and sponsored by ProstaBrit and TENA Men is now open for pre-clinic questions. Our medical experts will be on hand to answer your questions from 15-21 November. Our medical panel includes Dr Jon Rees, Mr Christopher Eden, Nurse Philippa Aslet, Mr Omer Karim and Mr Benjamin Challacombe. 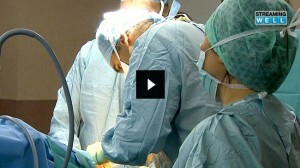 Mr Eden features in a short and informative video about Prostate Cancer Surgery. You can view the video via this link.